Need more information about booking Home 7354013 ? This three bedroomed property is a beautiful modern lakeside villa. The interior is extremely light and spacious, the living room, dining room and sun room are open plan with patio doors leading to the pool and lake. Outside there is a private terrace with 5 x 3.5 metre pool with cover keeping the pool free from debris and keeping it clean and. It has recently been refurbished and IN ADDITION OUR BOREHOLE WATER SUPPLY MEANS THAT EVEN IN TIMES OF DROUGHT, WE ARE ALWAYS ABLE TO KEEP OUR POOL FILLED. Al fresco dining area with outside lighting for the evening and lights in the pool to add that extra touch. BBQ and sun loungers. A private jetty to the lake offer guests the chance to fish or make use of the kayak provided. 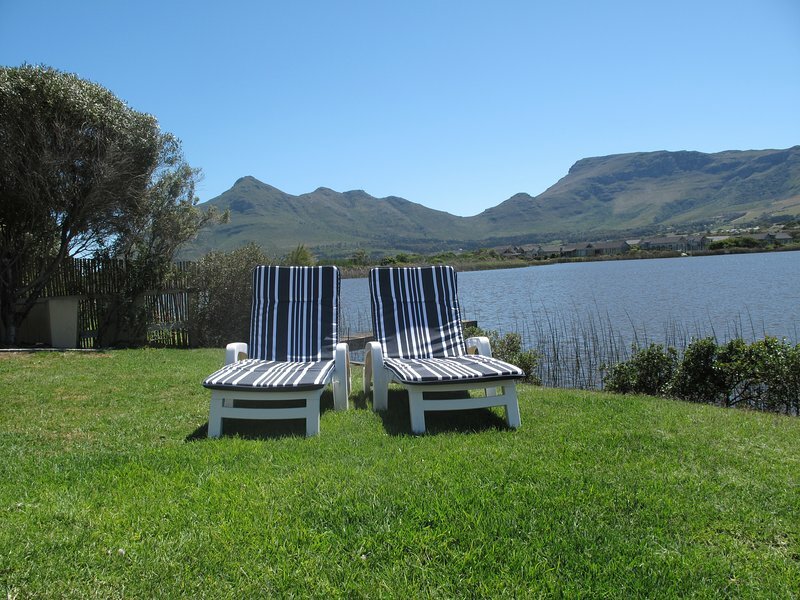 it is the perfect location for relaxing with stunning views over the lake to Chapmans peak. My sister manages the property and so we feel we can offer a personal service to all our guests. This has been great as guests feel very welcomed and any questions are answered very quickly as she is only around the corner. This is particularly a comfort for some of our guests to whom may not know the area. We have a welcome book upon arrival filled with lots of useful information. Once a booking is confirmed and final payment made, I will send details of how to get the the property and where to collect keys. The property is suitable for all ages - although there are a few odd steps which make wheel chair access a little tricky Smoking is only allowed outside. Older guests will find this property very relaxing and due to being all on one floor - easy to get around. Swimming in our pool and kayaking on the lake is at your own risk.